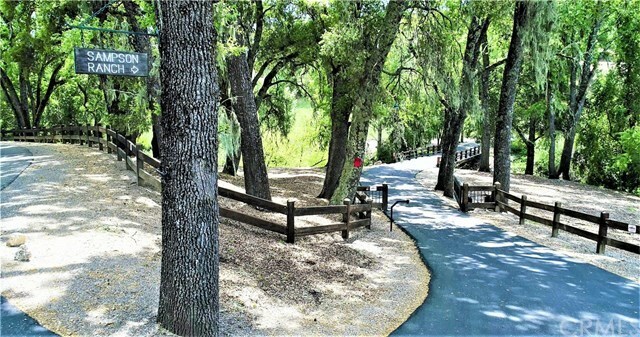 This Trophy property is situated right in the heart of the Paso Robles Wine Country in one of the most sought-after locations in the Central Coast. Vineyard Drive is West of Paso Robles, and this stunning 637 +/- acres with approximately 1/2 mile of road frontage is surrounded by World Class Wineries and tasting rooms, in the Adelaida AVA District. There are two entrances to the property from Vineyard Drive, the main access is captivating as you cross the creek on a bridge and meander up the 1/2 mile paved driveway, lined with stately oaks, and once you get to the top you see an incredible 3232 +/- SF European Style Country House designed by a well known Carmel Architect and a barn/guest house. The residence is charming with Carmel Stone on the exterior. Enter the courtyard and you will feel the peace and tranquility this Estate has to offer. Approximately 114 +/- acres may be suitable for grapes. There is a proven domestic well and a 8" cased Ag Well; two water storage tanks, one of 18,000 gallons and the other 5,000 gallons. All of this on a 294-acre parcel in an Ag Preserve that is a great tax benefit. The adjoining 343 +/- acres has 7 legal parcels, 3 of which have cased wells, and one a natural improved spring. These parcels each have potential building sites with spectacular views and are not included in the Ag Preserve. These 7 legal parcels can be sold separately from Lot 10. Directions: Go west on HWY 46 West, turn right on Vineyard Drive, approx. 6.5 miles, property on the left.